Chaste Berry Extract / 60 Veg Caps - Nature's Way®. Take 1 capsule two times daily. Do not take during pregnancy. If nursing or taking any medications, consult a healthcare professional before use. 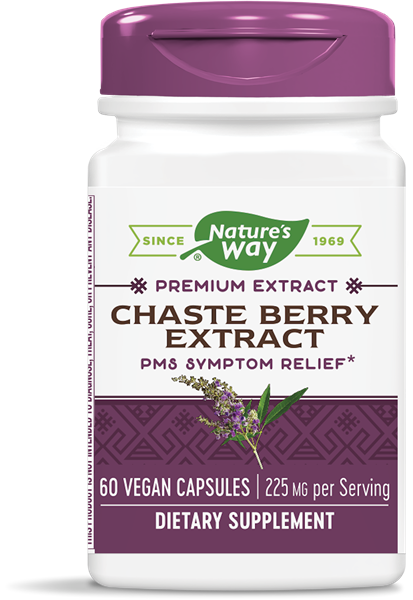 What does Chaste Berry Extract do?